The magnifying mirror will attach to all Verdera cabinets regardless of their size, but will only fold properly on the larger width doors. 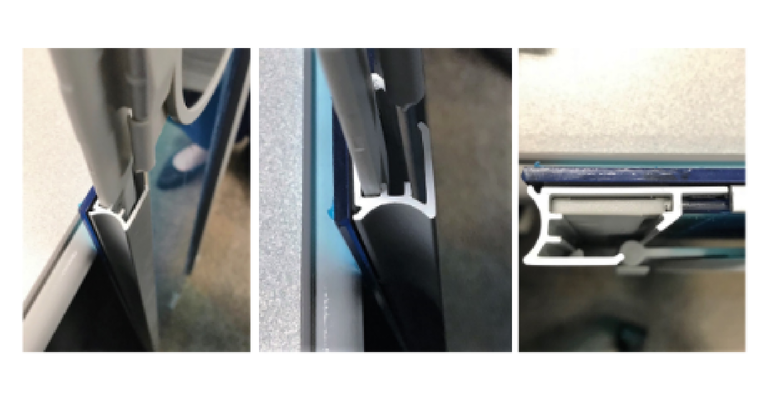 The mirror will not completely fold flat on the smaller 10" (254 mm) doors, but instead require that the mirror be removed before closing the door. Remove either the top or bottom endcap from the door frame. Slide the magnifying mirror into the track. 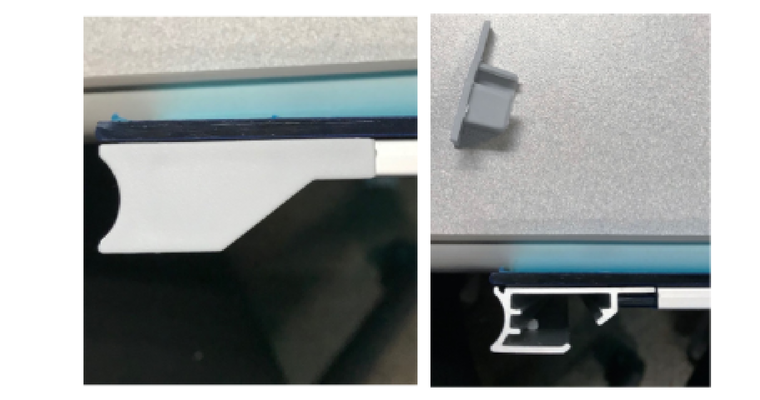 The mirror attachment should fit straight into the channel. Slide the mirror along the track to the desired placement on the door. For doors 15" (381 mm) wide or larger: The mirror can be folded flat to close the door. 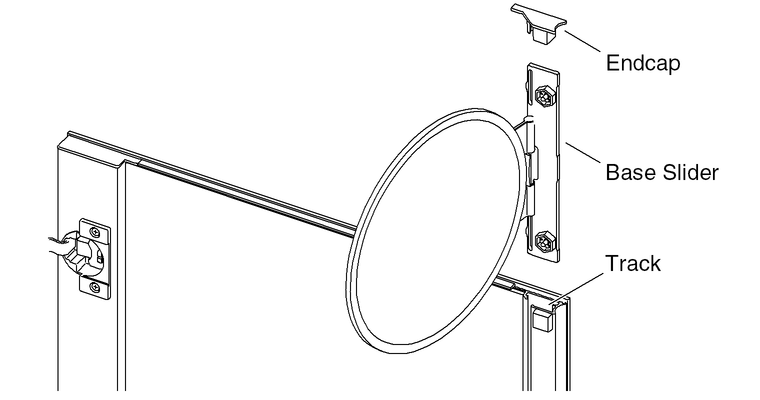 For 10" (254 mm) doors: The mirror must be removed before closing the door.